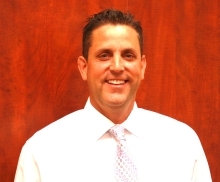 Dan is the visionary leader of Best Transportation Services and inspires the entire organization to exceed customer expectations by constantly developing cost effective solutions for their clients. A 25 year veteran of the transportation industry, from loader to president within several organizations, Dan has always kept customer satisfaction his main objective. Besides his daily responsibilities at Best, Dan is also a shareholder and officer in two other privately held Midwest businesses. His vision for the organization is to always remain the “Best” and most innovative transportation service provider in the industry. 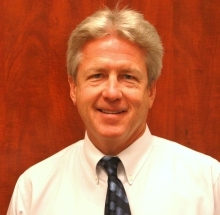 Brad is one of three co-owners and is the Executive Vice President of Operations of Best Transportation Services, Inc. Upon graduating from Northern Illinois University in 1989, Brad began his career in transportation with Roadway Package System (which is currently FedEx Ground). Throughout his 16 years at RPS/FedEx Ground, Brad gained valuable experience managing both dock operations and the pick-up and delivery operation. Brad was the Senior Manager of multiple FedEx Ground facilities for nearly 7 years and also worked as a Regional Manager for a parcel consolidator managing nearly 1,000 employees during peak season. At Best, Brad has used his leadership training to promote outstanding service and demands the commitment from the team to provide customer satisfaction. 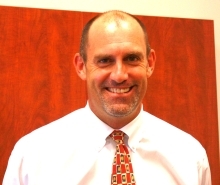 In his free time, Brad enjoys spending time with his wife Lisa and enjoys watching his two girls, Payton and Madde, play club volleyball for Sports Performance. In 1978 Paul took a part time job as Christmas help unloading trucks for UPS as part of a Wheeling High School work study program. Thirty four years later Paul is still in the Transportation industry. Paul earned a Bachelor's Degree in Transportation Management from Elmhurst College while working full time in the industry. Paul has worked primarily in small package at UPS, RPS and FedEx Ground but also spent a few years with an intermodal freight forwarder. Paul's last position with FedEx Ground was as Senior Manager of their largest delivery facility in the United States in Carol Stream. When Paul joined Best Transportation he used his experience as a Line-haul Manager at RPS to start up Best's truckload and LTL operation. Paul married his high school sweetheart Laura and they have three children, a boy and two girls. The Hynds family enjoys camping, fishing, skiing, canoeing and just about any other outdoor activity you can think of. 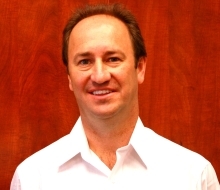 Dave Otto is the Director of Sales and Marketing for Best Transportation Services, Inc. Dave obtained his undergraduate degree from the U. of Missouri, and Masters of Management degree from Northwestern. Dave Otto spent 11 years in professional baseball as a pitcher. Dave played in the major leagues for the Oakland A’s, Cleveland Indians, Pittsburgh Pirates and Chicago Cubs. Dave also spent 10 years in various broadcasting roles (TV and Radio) for the Chicago Cubs and Chicago White Sox. Upon completion of playing and broadcasting career, Dave was a Corporate Account Executive for FedEx (5 years) Dave has been part of the Best team since April, 2011 and works with companies that can leverage Best’s network of services/vehicles. 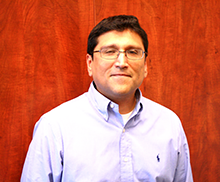 Jose Magdaleno is the Director of Operations at Best Transportation Services. In 1987, Jose graduated from Loyola Chicago with a B.S. in Accounting. Prior to his graduation, he was working as an accountant for UPS. In 1992, Jose jumped into a managerial role at RPS, which is now known as FedEx Ground. Jose received many promotions at FedEx Ground before joining his first courier company: MedSpeed. Jose was responsible for managing their large healthcare delivery network and was responsible for all customer service and DOT compliance. Jose is an outstanding team leader who works diligently to provide customer satisfaction and repeat business. Jose enjoys hanging out in his free time with his wife, cat, and 2 dogs. Managing safety and administration, Eida leads a team of individuals that support the operations team, the sales team, and most importantly, the customer. Eida started her career in transportation in 1997 with Roadway Package System (RPS) and held a variety of positions, including operations and administration management. 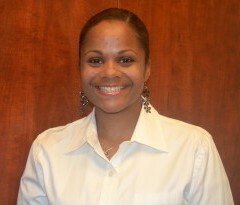 She received her Bachelor Degree in Economics from the University of Cincinnati in 2000. Eida joined the Best Transportation team in 2008 and has been an instrumental leader in operations, safety, and administration. Eida is married to her wonderful husband Barry and they enjoy watching their two boys, Kaden & Kameron, participate in basketball, baseball, football & soccer. They love to watch NFL games, boxing, and the Michigan Wolverines.